Turbine Air Ventilators run on wind and help save on precious power meant for ventilation purpose. Turbine air ventilators comprise of two parts- fan and f. R. P. Base plates. Manufactured using aluminum or stainless steel. 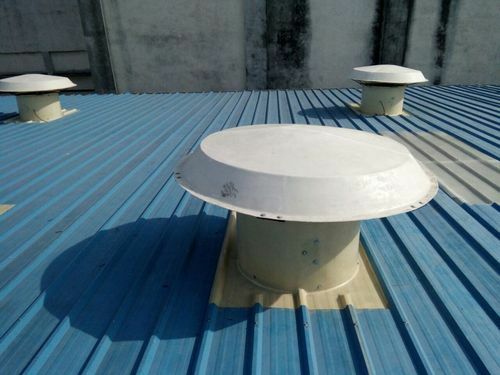 Turbine air ventilators help improve the ventilation in industrial establishment and help create a congenial work environment. These natural ventilation systems exhibit high mechanical strength, impact resistance and are light weight. These can withstand storms and rought weather. These help remove heat, gases, fumes, dust and smoke in industrial and commercial establishment and industrial building. Our turbine air ventilators are guaranteed for satisfactory performance and offer good value in the long term. Guaranteed against leakage of rain water.